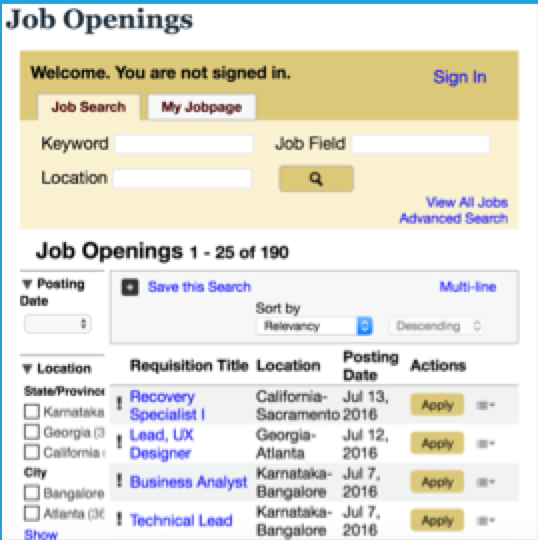 Career sites are your best asset to attract top talent to your organization. They are the most trafficked part of the candidate journey. They’re also a place that you fully control and don’t have to worry about being polluted by anonymous reviews by ex-employees. Despite these facts, it’s one of the most underutilized assets in a company’s arsenal to attract top talent. This guide is meant to highlight career site best practices from top employers so that you can reap the rewards of having a competitive advantage in your career page. We now live in a world where beautiful products are the norm. Think about the last time you saw a product that wasn’t well designed. It may have frustrated you, and you definitely lost trust. Job seekers are looking to learn about the company personality and corporate culture from a career site, but they need to see this information in a beautiful and intuitive design. Talent acquisition needs to pay attention to design and get help from marketing, or a third party to make sure their page is up to par. Take a look at some of the sites that you like to use (maybe a site like Pinterest) or simply an awesome career site you like. These are your examples to draw inspiration from and use as models to help you mold the design you’re looking for. Send us an email if you want to talk about how to think through the design of your career page. Many of the candidates that find your company aren’t ready to apply. Perhaps they saw your company mentioned in a recent press release. Maybe they found out about it from a friend at a party over the weekend. Whatever the case, they were interested, and found your careers page, but their resume isn’t up to date. What’s more, they are happy in their job and aren’t going any where for the next 6 months. So, they aren’t going to apply for a job now. And, they aren’t going to remember your company when it comes time to look for their next gig. However, we want to keep in touch with them so that when they are ready we can be top of mind, right? The most forward thinking companies now allow candidates to enter their name/email/professional profile before leaving the site. This allows the talent acquisition team to build a pipeline of talent over time. We can then send this pipeline interesting content via email marketing, and use sophisticated analytics to better understand who within our talent pipeline is actually engaging with out content, and therefore who is open to having a conversation about working at our company. A microsite is essentially a landing page within your career page which highlights a particular role or demographic at your company. For example, I may have a microsite focused on the New York office, or Veterans at my company, or the marketing department. Let’s take a step back and think about consumer behavior. Let’s say I was shopping for running shoes and went to nike’s website. Imagine if they didn’t have pages dedicated to running shoes, and instead I had to wade through the golf shoes, sneakers, etc? That would be a pain, I’d probably head over to New Balance. When a Backend Engineer goes to your career website to try and figure out if they want to work there, they want to know what the other Backend Engineers are working on, skills they’re getting, what they built recently, and what tips they have for interviews. They don’t want to hear too much from sales or marketing, and they definitely don’t want to see a generic job description. 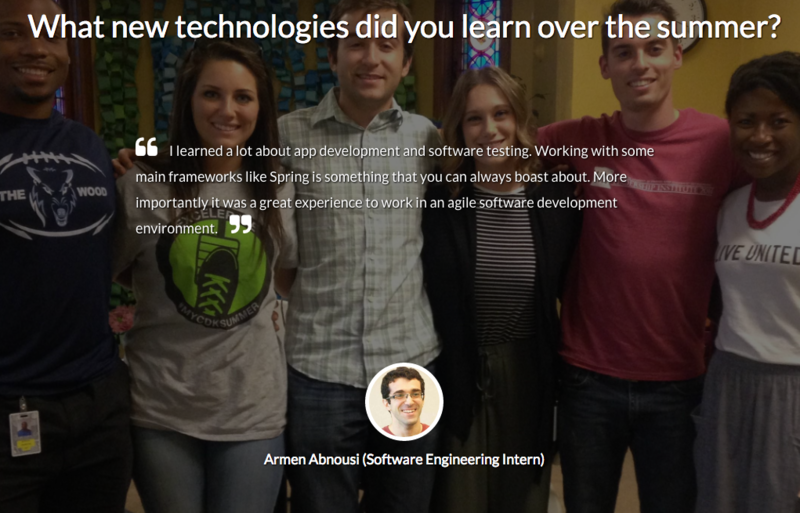 Their job search is focused on life as a backend engineer in your company. By interactive, we essentially mean dynamic. Sure, some sites have a career quiz and the like to see if you’d be a good fit for different roles. However, really what we are talking about is design. Perhaps this means a bit of javacript for dynamic HTML elements, or some social content. Take a look at the Pinterest careers page, an in particular their “Life at Pinterest” page where people have pinned what life is like at the company. They have 303k followers on these boards! Do you want dynamic content on your site that looks great? Click here and ask for a demo. This has to be said. In 2015 mobile officially surpassed desktop traffic on the internet. 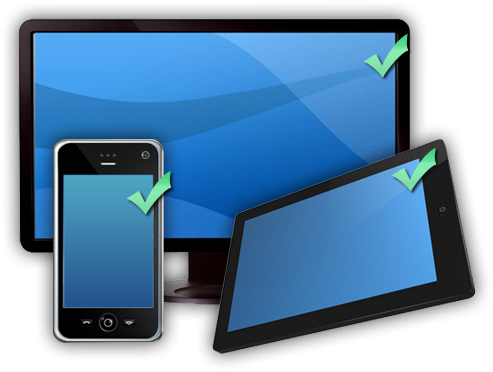 It’s time to make sure you have a mobile optimized website. In fact, 80% of job seekers start their search on mobile and many want to apply for jobs via their phones. The best career pages have great content. Candidates come to your careers page for two reasons. One is to apply for a job. To allow them to do this is fairly simple assuming you’re using an applicant tracking system. The much more important goal of career seekers is to figure out if they want to apply in the first place. To figure this out, candidates are reading about your company, watching videos, and generally consuming content about your company culture. The best career sites have great content (see above for what not to do). Job descriptions are generic and just don’t cut it when it comes to winning over the top potential candidates. See below for a company that has invested in employee testimonials that share their employer brand. Awesome career pages are updated on a regular basis. When people join the company, when you launch a new product, open a new office, have an office outing, these are all great reasons to update your content. Beyond the positives, sometimes you’ll feature someone who leaves your company. You’ll need to take them down from these pages. That means you need a flexible and scalable content management system for your careers page. Have you seen the Fiverr or Twitter company overview videos? They are poking fun at all the hilariously generic career content. 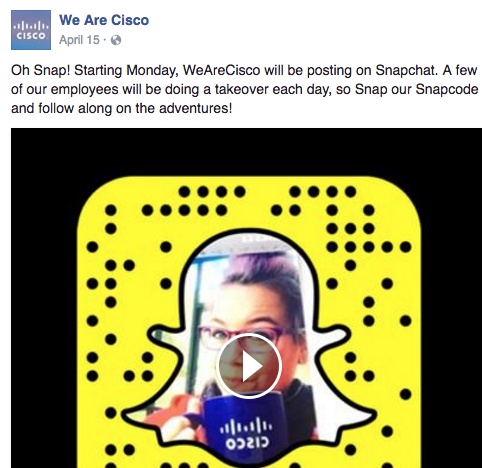 Most companies fail by having content that stays very high level, or is simply too general to be useful. Take a look at Goldman’s careers page. They have hundreds of employee profiles which dive deep into what it’s like to work at the company across regions and roles. This content is specific and actually tells the reader something. They don’t simply have their head of investment banking quoted saying “this is a dynamic place to work!” Who would trust this? No, instead they have the people in the trenches talking about their backgrounds, deals they’ve worked on, what they do after work, etc. Want to outsource your careers page development? Click here and ask for a demo. Another thing the best careers pages get right about content is authenticity. Unfortunately, when a marketer or agency gets involved in creating content, many times the end product has been edited so many times that the meaning of the information is lost, and the credibility is lost as well. When we see perfect lighting, background music, and scripted dialogue, we simply turn off as consumers of information. This is why the best companies, like Dropbox, have simply allowed their employees to weigh in on what they do, and why they love working at the company. There’s very little editing here, and it shows. We’ll keep names out of this, but recently we talked to a company that had taken down the majority of their career related videos. When they’d first posted them, they noticed a decrease in applicants. After an in depth study over the course of several focus groups, they realized that their videos in particular were seen as so inauthentic that they were hurting their ability to attract talent. Learn from their mistakes and let the voices of your employees shine through. Have you ever seen a careers page that is simply a widget from the ATS which lists job descriptions? Your career page is another place to reinforce your brand. This is done through content, in addition to colors/fonts/photos. It’s also done through the experience on your page. Here’s another pitfall – if you have a confusing UX or navigation, or perhaps don’t have a mobile optimized page, these all reflect on your company, and your employer brand. Many of the best career pages incorporate social media. Perhaps they pull in posts related to a certain hashtag, or have dedicated accounts (Instagram, Twitter, etc) for their careers content. Whatever the case may be, social recruiting is becoming more important, and employer websites need to incorporate this information! NPR’s career page not only has feeds from LinkedIn and Twitter, but they also have links to their various social feeds that relate to different parts of their company. This can be especially key for college and university recruiting where students are already accustomed to these forms of communication. The leading companies are also thinking about how to rank for top of funnel keywords “software engineer interview tips” (although it’s unclear if this focusing on SEO is a good idea). Moreover, they make sure great content about their business is on websites with high pagerank, as opposed to being buried in their site hierarchy. A few months ago, an ex-Hubspot employee wrote a fairly scathing book about working at the company and released it with a lot of fan fair. 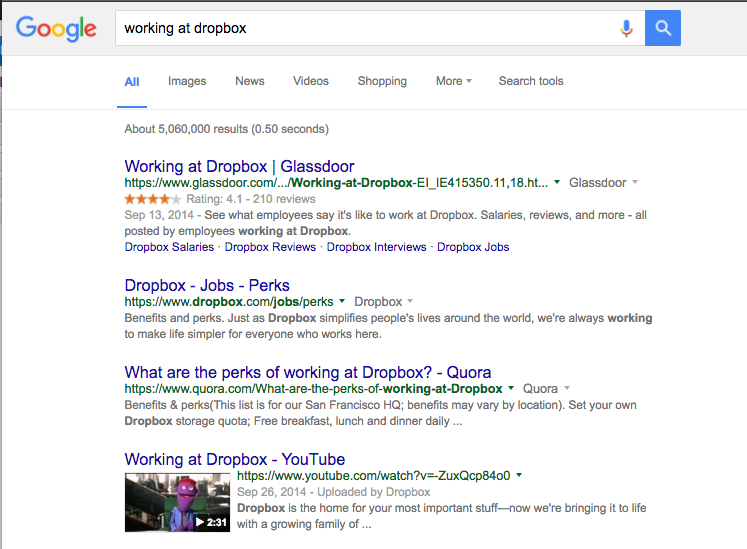 However, if you Google queries related to working at Hubspot, it’s hard to find much information about the book. They’ve done a superlative job of creating content on their own site about working at the company, in addition to Quora posts and other high ranking sites that list positive information about the business and culture. Content is great, but eventually we have to get someone to apply for a job. This means having clear calls to action on your pages that will help convert talent into applicants. The ability to find your job postings has to be so easy that a drunk person could do it! No post about best career pages would be complete without mentioning the importance of the employee value proposition. 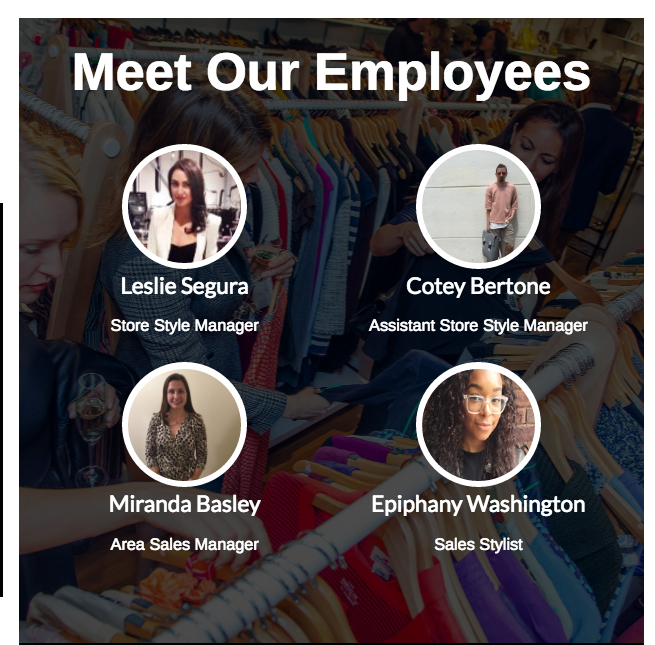 For those that don’t know, your EVP is essentially the answer to the question “why do people want to work at our company?” The answers to this question should be sprinkled throughout your site including photos, videos, social, and written content. Learn more about your EVP and how it fits into your employer branding efforts. There are many considerations to creating a great careers page. SEO, social, mobile, content, calls to action….the list goes on. What’s more, the best talent acquisition professionals will want to measure the analytics behind their careers page to see what they are getting right and what needs to be fixed. If you are looking to outsource your careers page design, content, SEO, analytics, etc…then let’s talk. Click here, ask for a demo, and we’ll show you how we can help.